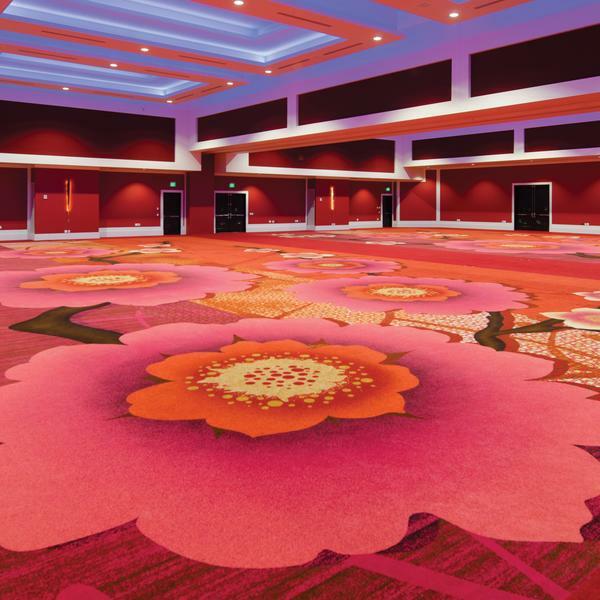 The Davenport Grand Hotel, the latest addition to the Davenport Hotel Collection, has brought an exclusive interest to the Spokane hospitality scene. 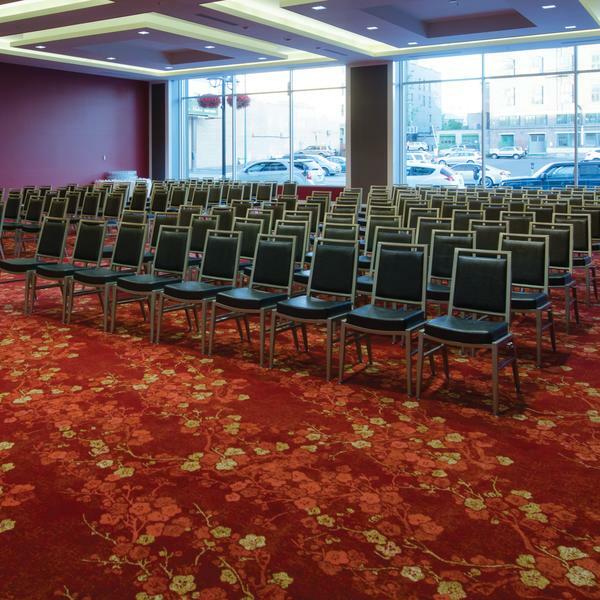 Created solely to cater to convention goers and contemporary business travelers, The Davenport Grand Hotel offers energy-efficient environmental design, with a bold international feel to the interior. Due to it's unique character, The Davenport Grand Hotel has rightfully joined Marriott's Autograph Collection. EH Design paired the international business traveller concept with designs from The Curator, Brintons' sixth collection with Stacy Garcia. The Curator is a collection of globally sophisticated designs translated through a daring contemporary lens. 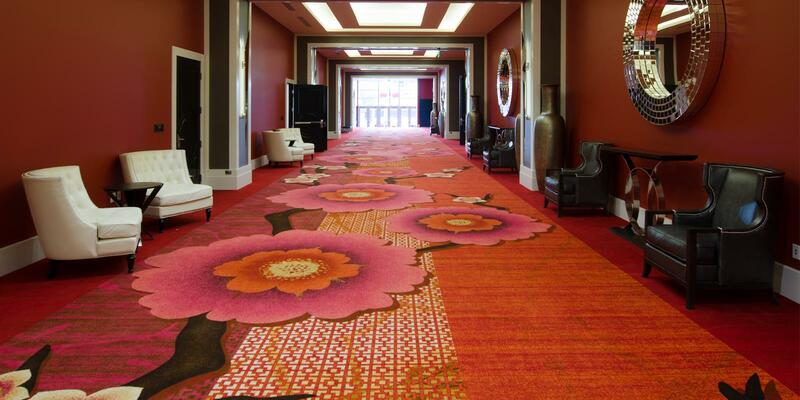 It was a pleasure to work with the Brintons team from the very beginning; we visited Brintons during HD Expo in 2014 and ran across the design that would work perfectly for the Davenport Grand. 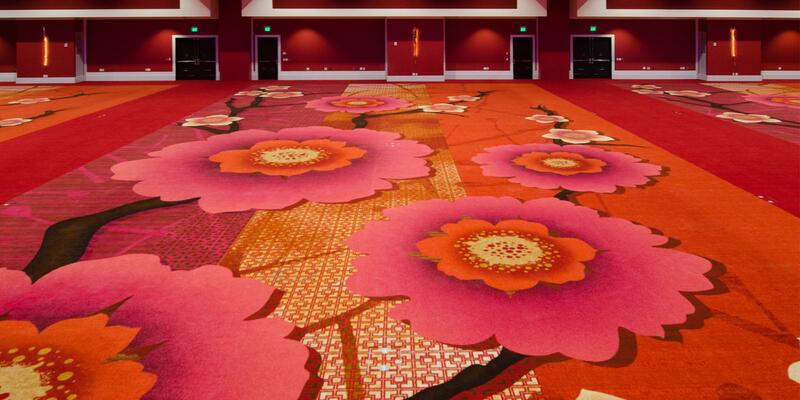 We had started with two different designs and finally settled on the Stacy Garcia pattern for the main prefunction and grand ballroom. 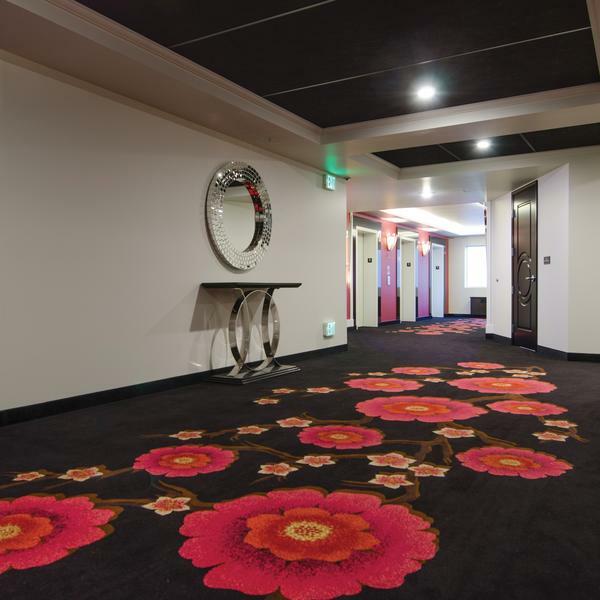 We then redesigned it with a black background and the same floral pattern for all the room corridors. Brintons took care of every need that EH Design and the Davenport team requested, and the brilliant design and colors have brought some energy to the Spokane downtown.